I’m excited to share with you my top 5 business motivation techniques that will help you stay motivated and on track in a world full of distractions. So how do you get back on track and productive when you fall off the wagon? 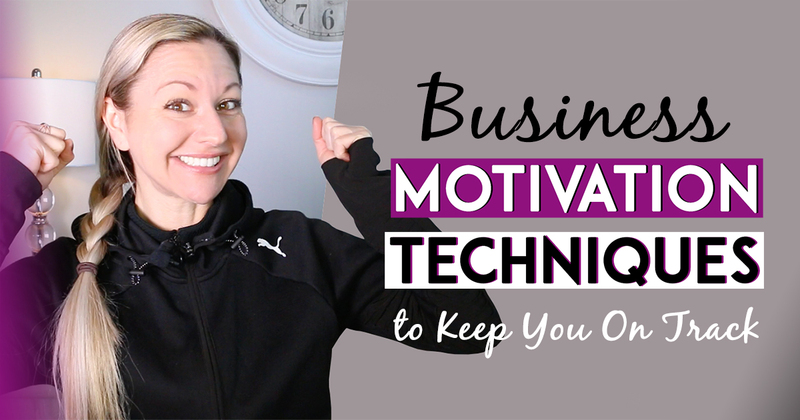 In this Episode of Tanya Aliza TV, I’m going to share with you 5 of my best business motivation techniques so you can be UBER productive, operate at high efficiency and stay motivated in your business. The biggest game changer in my business and in my personal life has been what I call ‘my personal miracle morning routine.’ It’s responsible for setting my day up in a way that allows me to crush out my weekly goals. 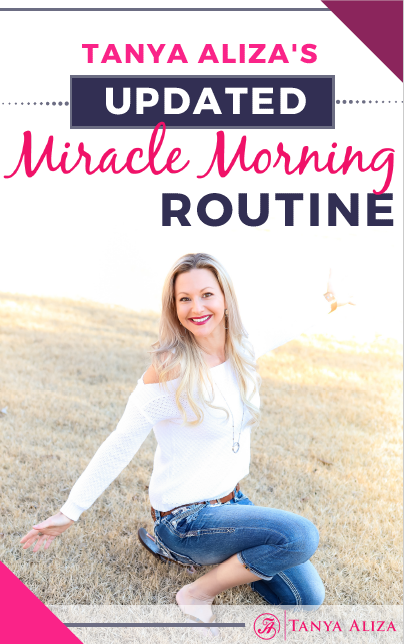 I laid out My Miracle Morning Routine in detail for you to download so you can model it because its going to change the way your day starts and have a BIG impact on your productivity and keep you motivated. You can download it by clicking on the yellow button above. Business motivation technique #1 is that you’ll need to know what your goal is for the quarter, month and all the way down to the week. What’s your ONE BIG thing that you want to accomplish this week? I use a planner to keep me organized and on track with this but what I like to do is… every week I write down my 1 big thing that I want to accomplish that week that I know will get me closer to my goals. But you need to be clear on what those goals are, so if you haven’t already, set goals for your business for the quarter, month and all the way down to just the week ahead. What tasks do you need perform to accomplish that ONE BIG goal? This is where you get that big goal and you break it down into bite size pieces. Once you do that you make a list of all the tasks that need to be done in order to get that goal accomplished. This allows you to see the work ahead and prepare to either delegate it or add it to your calendar. Okay, so once you make the list with all the tasks written down, you’ll want to plan when you’ll get them done in the week up ahead. So just add them to your calendar and schedule them out on the days that you know you can get them done and you’ll get yourself closer to accomplishing that one big goal. 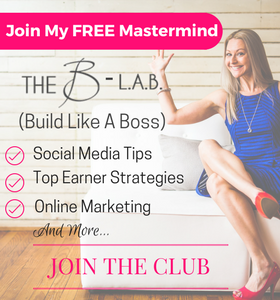 I can honestly say that time blocking is my secret to staying motivated in my business. I block out the EXACT time that I’ll be sitting down and working on my tasks. I put it on my physical calendar so I can see it and nothing else gets done during that time except the tasks I’ve written to do in those specific time frames. 1️⃣Remove all distractions that you possibly can during those time blocks. 2️⃣Turn off all social media notifications. 3️⃣Put your phone on airplane mode. And don’t turn them back on until your tasks are done. 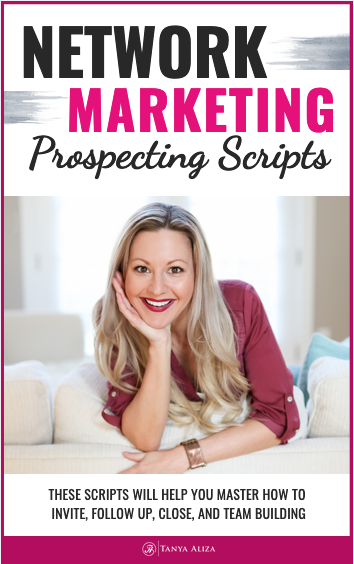 This takes practice and discipline but as you start to get stuff done and crossing tasks off your list, its going to serve as the basis for motivation for you in your business. If you noticed, you’ll see that I like to work on one thing at a time. That’s how our brain operates best, and it will keep you motivated to keep on going. So, it all boils down to the ONE thing that you know if you accomplish that week you will get closer to your BIG goals in your business. Don’t schedule a million things into your week because that will only discourage you and make you feel like you didn’t accomplish anything. Work your week based on your BIG goals and only schedule in tasks that will move you closer to them. And remember thst the biggest game changer in my business and in my personal life has been what I call my My Miracle Morning Routine. It’s responsible for setting my day up in a way that allows me to crush out my weekly goals. I laid it out in detail for you to download so you can model it because its going to change the way your day starts and have a BIG impact on your productivity and keep you motivated. You can download it by clicking on the yellow button below. This is one of my favorite books on eliminating anxiety in having to do it ALL in one day! The Author, Jeff Olsen, talks about the law of compounding efforts over time. Basically, being extremely consistent and doing a little bit over a long period of time to hit your goals. If you’re someone that get impatient with your result and you’re getting down on yourself about success not happening fast enough, this is a great book that I highly suggest reading. This is one of my favorite books to re-framing your mind and giving you exercises to understand how to handle obstacles and challenges that present themselves. This is one of my favorite books when it comes to learning how to stop procrastinating so you can get the important tasks done first. I read it at least once a year and I’ve found it to be super helpful. Did you get some value from these business motivation techniques? 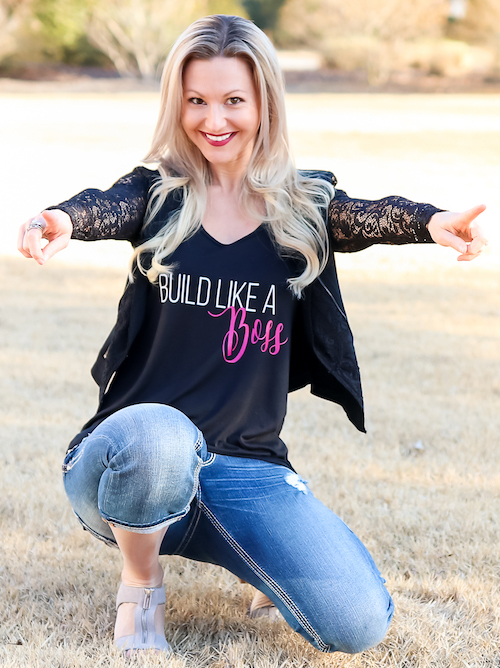 I hope you did because each week I put my heart into making sure you get some business motivation techniques so you can rock it in your business while creating a life you love. Question of The Week: What’s the #1 Business Motivation Techniques that you like to use in your business that’s helped you stay on track? Share in the comments section below. I’d love to know!